Trust your gut. Be a friend and talk like a friend to your market. Develop a Genuine and Caring Relationship With Your Target Audience. Be genuinely happy helping others using the written word! Be Personable. Connect Deeply In Messages to Your Ideal Target Audience. Share true stories about how integrative health naturally improves life! Blog About Your Memorable Life Experiences Using Significant Stories. Express life in your writing. Inspire others to focus on what they CAN do! Use Social Media To Share Your Dreams With The World! Don't know how to say it to your target audience? I can help you with that! People everywhere want simple solutions to their alternative health care copywriting needs. But, how do you know your niche market really understands you are here to help them? How do you clearly get your “I’m here to help” message across to them? By talking their language. That means thinking the way THEY think. I’m listed as Freelance Copywriter, Cleveland, Ohio, Susan Fox. The data on your website is called copy. Thus, I am known as a copywriter and I live in a suburb of Cleveland, Ohio. If you need a copywriter that understands many different aspects of copywriting for alternative care, integrative care, chronic pain, parenting and the end-of-life event, you’ve come to the right place. I am the person to help you in your marketing. 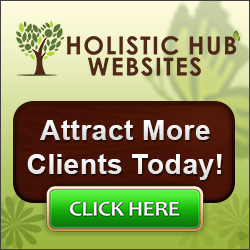 I create web content for your niche in a way that means something to your target audience. Here’s an analogy. If you are a parent, looking to provide for your child, you must know how to think like your child. What exactly does this mean? It means you must know what is important to your child. Using empathetic compassion AND wisdom, you guide your child to think for him or herself to make correct and meaningful decisions. That’s what happens when it comes to alternative health/integrative care. Being an alternative health/integrative care expert, this also means that you cannot always be focused on YOUR schedule and on your clients or patients making life convenient for you all the time. That is all a part of doing what you do. How do I know this? Because I’ve been an alternative health caregiver in the past and present. In 1988 when my twelve-year-old son died at home, I was grandfathered in as an alternative health care provider. Since that time, I’ve provided alternative health care for many people and I am doing it today as well. As a certified hypnotist, Jin Shin Jyutsu practitioner, Reiki Master Teacher and energy worker, I’ve worked with many people in chronic pain, and in stress due to the crossing over process. I am the right copywriter for you as an alternative health care provider and marketing yourself because I AM you. I am a professionally trained AWAI copywriter. I can create copy that shows you genuinely care about your prospects, clients and patients. This is an important step to developing genuine business relationships with your clients and patients. Do your email campaigns connect you with your ideal prospects? How about your marketing ebooks, social media projects or other marketing messages? If you are unhappy with your current marketing results, let me help you provide relevant content for your alternative health/integrative care audience. focusing your thoughts, beliefs and attitudes from within into your writing projects!